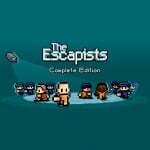 Team17 has announced that The Escapists: Complete Edition will be tunnelling its way to a release on Switch later this year. This new release of the sandbox prison-escape game is set to be the most content-packed version so far, including all the prisons from the base game and nine additional bonus maps - with one which has never previously been released on console, Fhurst Peak. Elsewhere, the gameplay is the same as we already know and love, with players needing to work around a strict prison schedule while avoiding the unwanted attention of guards. We awarded The Escapists 2 a 'great' 8/10 when it launched on Switch at the start of the year so we're naturally excited to see an even bigger entry to the series headed our way. Here's what we had to say the last time around. 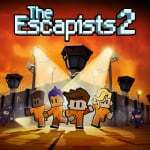 "The Escapists 2 is an ingenious, multi-layered clockwork sandbox that offers you a wide range of routes to freedom. Its tough demands and myriad competing systems can lead to frustration, but a winning sense of humour and knock-about fun always brings you back for another jailbreak attempt." If you're thinking of treating yourself to an upgrade, or if you're thinking of escaping for the very first time, you may want to check out this list of features that will be present in this new release. - Multiple ways to escape - A variety of different methods to bust your way out including digging out and prison takeovers! - Deep crafting system - Gather the necessary items you’ll need to craft items for your escape plan. Craft tools such as Cutters, Shovels, Sheet Ropes and weapons such as the Sock Mace, Comb Blade or Cup of Molten Chocolate! 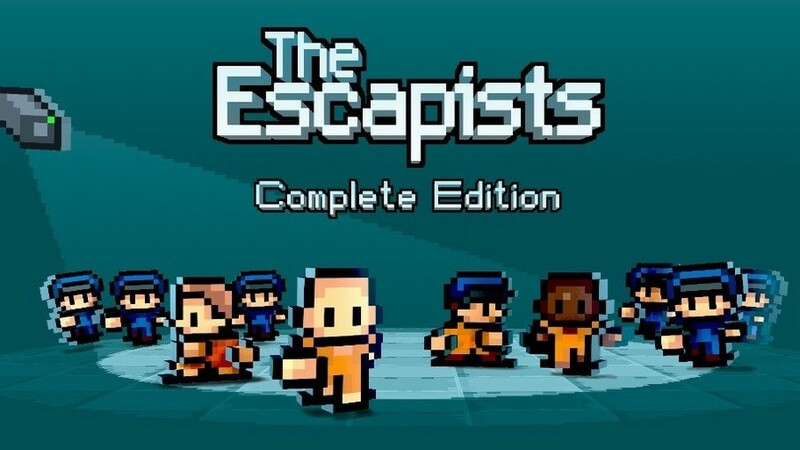 The Escapists: Complete Edition will be available to download on Switch "later this year". Do you dig it? Let us know if you'll be plotting a new escape with a comment below. Perfect for the Switch in my opinion. I'll probably pick this up. Uhm, please stop with all the great releases! My wallet and time can’t handle it! I am throwing in the towel! I am raising the white flag! They've got a cheek releasing this when they haven't even patched the digital version.It's littered with bugs,Google it.For a time for me the game was basically broken,whenever I attempted to load my file the game would force close.If I created a new file,same thing.The developer told me on Twitter he was aware of the issues at the time while Team 17 told me to uninstall the game,delete my save file,power off my Switch and it should work.That was 6 months or so ago.It did actually work but that's not a fix and now I have no motivation to play the game again knowing the same thing can happen. I liked the first game but loved the 2nd game thanks to its co-op, it's shame they haven't added it to this release or releaee these maps for 2. WARNING ! This game is really difficult. At least if you're not used to the genre. Don't get me wrong : it's great. But I couldn't play it without the wiki. ...I need to get back into this game...I have the original on Steam, was thinking of getting the sequel on Switch. Indies are good sometimes, but can we get more variety besides just indie games on this thing?